Whether you’re looking for a gaming console, smartphone or tablet computer, we have the rundown on the hottest technology. 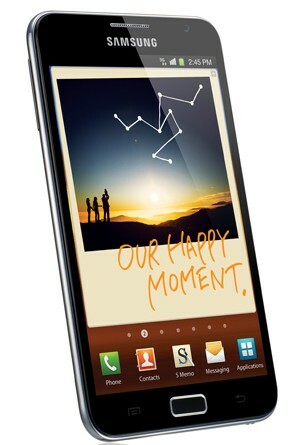 Check out these must-have gadgets for 2012. First released in Germany in October 2011, the Samsung Galaxy Note has now made a big splash on the smartphone scene around the world. It’s larger than the average smartphone, so if you are looking for a tiny gadget, this isn’t it. However, it’s got plenty of awesome features — 4G network, full HD 1080p video camera, 8MP digital camera, a large, very sharp 5.3-inch screen, fast 1.4 GHz processor, 16GB of internal storage, assisted GPS and much more. However, the highlight of the Galaxy Note is definitely its stylus — the S pen. With the S pen, you can grab screenshots, write sticky notes, input text, cut out pictures — and that’s just for starters. This smartphone is equipped with Android 2.3 “Gingerbread,” but Samsung says that they will be releasing an upgrade to Android 4.0 “Ice Cream Sandwich” in the second quarter of 2012. With a screen size between that of a conventional smartphone and a traditional tablet, and the best stylus out there, you’ll love the Galaxy Note. It’s priced around $600. Wii U is the successor to the extremely popular Nintendo Wii. Set for release in the fourth quarter of 2012, this device will produce 1080p high-definition graphics and features a new controller with an embedded touchscreen, which either replicates or supplements the game displayed on your TV. The controller features a built-in 3-axis accelerometer and 3-axis gyroscope, speakers, microphone, front-facing camera, stylus, 6.2-inch resistive touchscreen and more. If you have worn out your Wii (or haven’t bought one yet), start tucking away some cash to buy this new unit. We don’t know how much it will cost yet. Initial rumors were close to $600, but now reputable sources are speculating it will be closer to $300. The PlayStation Vita (PS Vita) is the successor to the company’s handheld game console, the PlayStation Portable. Released in the US in February, the device competes with the Nintendo 3DS, and so far more than 1.2 million units have been sold. This game console features a 5-inch multi-touch capacitive touchscreen, and it supports Wi-Fi, Bluetooth and optional 3G. Tech specs include a 4-core ARM Cortex-A9 MPCore processor, 4-core SGX543MP4+ graphics processing unit, 512 MB RAM, 128 MB VRAM, front and back cameras, PS Vita memory card (4, 8, 16 or 32 GB), LiveArea software and more. If your kids love video games (or you’re a gamer yourself), the PS Vita is worth the $300 price tag. 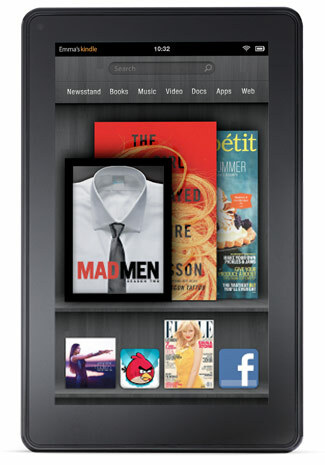 Released in November 2011, the Kindle Fire is a new kind of e-reader that crosses into the tablet realm. The Kindle Fire retails for $199. It features a 7-inch multi-touch color screen and 8GB of internal storage — enough room for about 80 apps and 6,000 books. The device, which includes access to Amazon’s Appstore, allows you to stream TV shows and movies, as well as read Kindle books. The Kindle Fire runs a tweaked Android 2.3 Gingerbread OS. The battery life is good — you can read for 8 consecutive hours with the wireless off. So far, the Kindle Fire has been a big hit, with approximately 6 million sold in the fourth quarter of 2011. We can’t talk about new technology without mentioning the latest iPad. Though the iPad 2 was just released in March 2011, within a year we have the third generation of the amazingly popular tablet available. 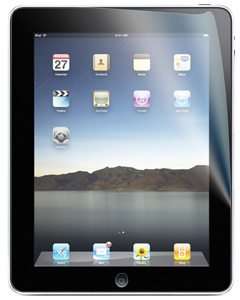 The latest iPad, which many thought would be called the iPad 3 or iPad HD, is actually just called the iPad. With high-definition retina display, a dramatically improved screen resolution, better front and rear cameras, and a smoother, faster processor, the latest iPad is a big hit. The new iPad ranges from $499 to $829.